Aliaume Damala Badara Akon Thiam is better known as Akon, the American singer, rapper, producer, business and songwriter who is of Senegalese descent. After his most prominent single ‘Locked Up’ in 2004, which was taken from his debut album Trouble, he has gone on to become one of the most famous stars in the music industry. Now the founder of two top record labels in Konvict Muzik and Con Live Distribution, he is a Grammy nominee in the categories of Best Contemporary R&B Album for Konvicted and Best Rap/Sung Collaboration for his singles “Smack That” and “I Wanna Love You”. Mixing up soul, hip hop and rap, Akon often gives guest vocal spots to other artists and is said to have done more than 3000 appearances on more than 35 Billboard Hot 100 songs. He has worked with huge stars fro across the board including Eminem, Michale Jackson, Whitney Houston, Snoop Dogg, Bone Thugs-N-Harmony, Gwen Stefani and countless others, and he has produced for the likes of Lady Gaga, Colby O’Donis, Kardinal Offishall, Leona Lewis, and T-Pain. 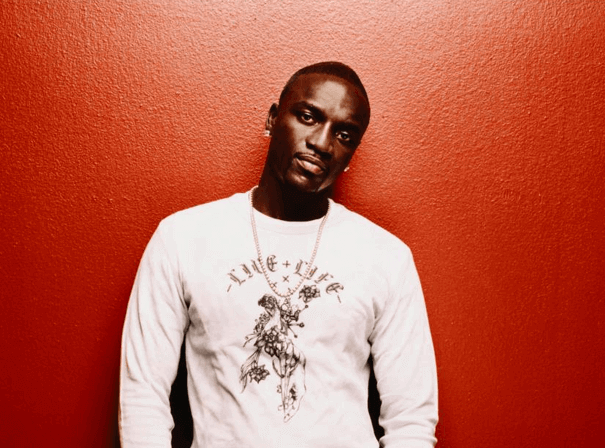 Akon is also the first solo artist to hold the first and second spots on the Billboard Top 100 charts twice and has had many singles certified as two and three times platinum selling. He sings in English as well as Hindi, Spanish and Tamil and was listed by the Guinness Book of World Records as the #1 selling artist for master ringtones in the world. As such, Akon is a truly global music star.